Tapestry exhibited in exhibition " Distilled Tone", The Scottish Gallery, Edinburgh 2016. Invited exhibitor. National and international exhibitors working in tapestry, jewellery, silversmithing, ceramics, furniture & glass. "Throughout the entire exhibition there is a prevailing and fundamental basis for each piece; the craft and the materials. These elements however go further than decoration and function. They draw beyond the surface considerations. 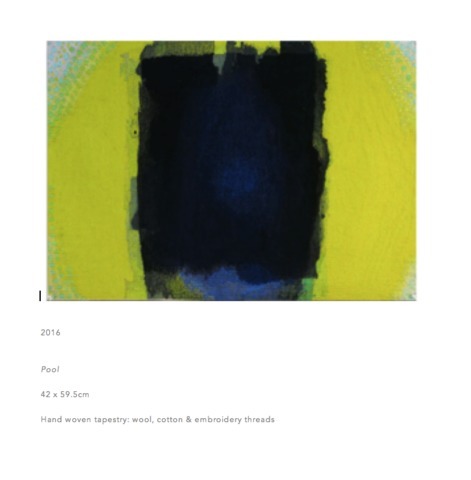 The references in the work such as textile, tradition, tone, materials, colour and landscape make for refined objects".